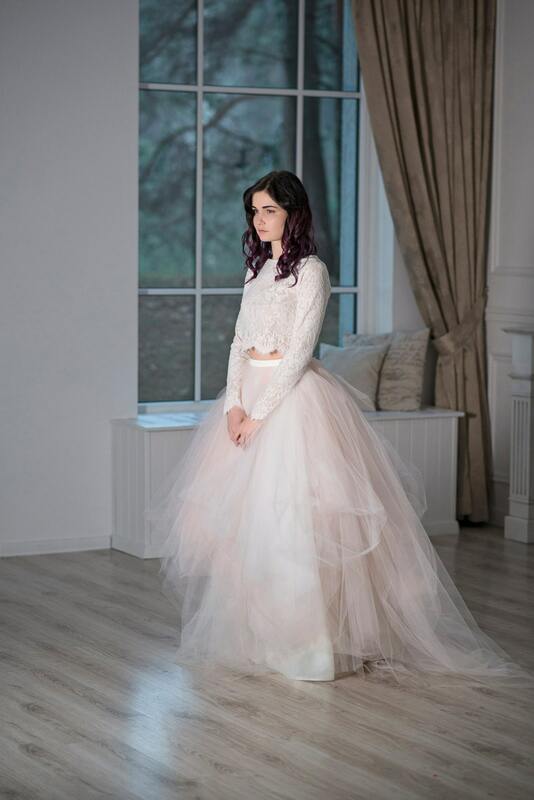 This is a listing for a two piece wedding dress, that is comprised of the crop top and a skirt, that you can wear separately after the wedding, or, for example, wear a shorter simpler skirt for your reception. We can provide you with one as well. 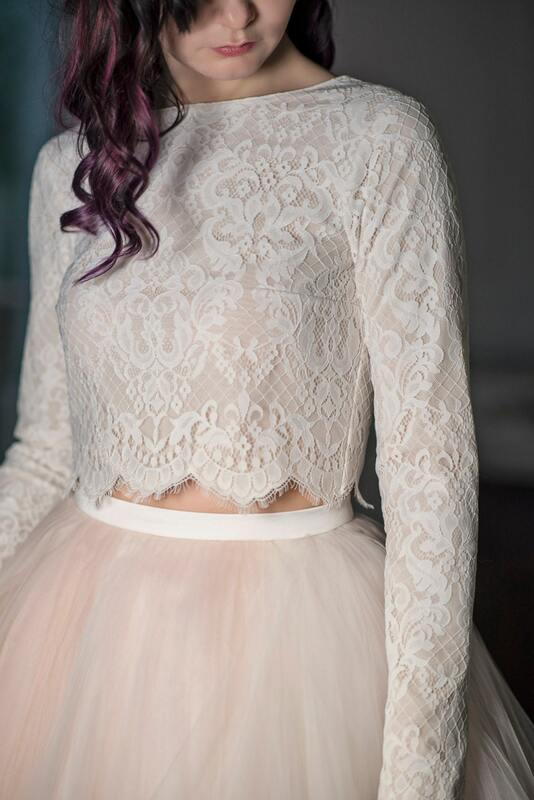 Shown color features a vintage cream and off white top, paired with a blush/off white tulle skirt. You can have this dress in white, off white, ivory and nearly any custom shade. We hand dye our tulle, lace, and some underlays too. 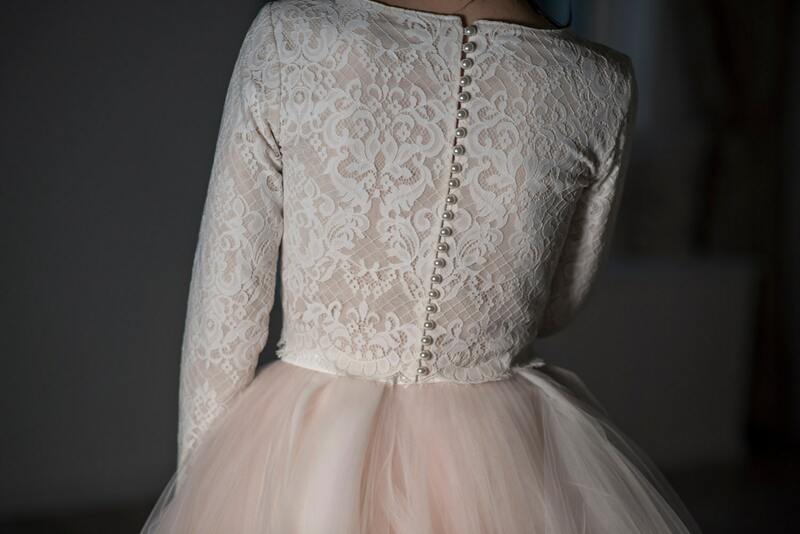 We have matched two very different things for this dress - a top, that has a royal lace pattern, and a very whimsical, fairy like skirt. For an edgy, unique, original bride to be. You can, however, pair any of these separately with our other items to create a unique two piece dress just for you! We use DHL Express Worldwide for shipping. Please provide your phone number for a smooth and on time delivery. If you have a tight deadline, please inform us, and we will be happy to meet it. For deadlines of less than "in three weeks", please inquire first. I am a fairy princess and it is amazing.